The first day could not have been more beautiful. Well, maybe it could have been if we were on the Big Island, but I’ll keep this reality-based. 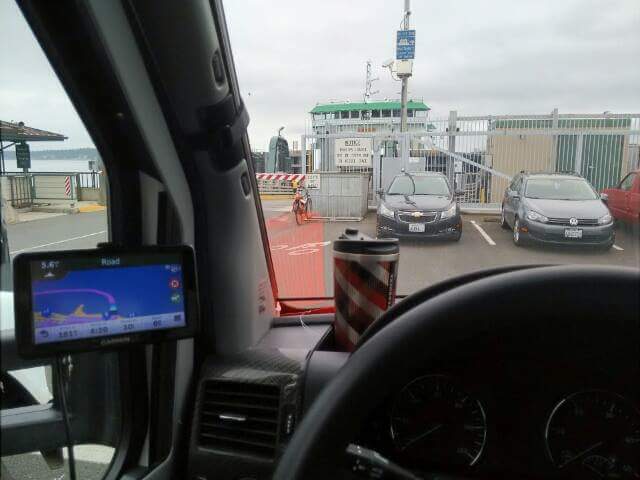 We made reservations on the 0930 Coupeville ferry, but were up early with enough excitement to drive by the Courtyard Café for sacks of breakfast and make the 0845 boat. Admiral Inlet was smooth and the skies were overcast. The designation today was the KOA in Winthrop WA and lunch with friends in Burlington. Billy’s Café had great service and OK food. Their walls were all adorned with Seahawks signs, but it was strange there was no TV, so maybe they do a terrific take-out business on game day. Highway 20 across Washington begins in Discovery Bay and is one of the most scenic roads in the state as it winds its way across North Cascades National Park toward Idaho. Washington Pass was clear and bright as we left the clouds for the sun. Thankfully there was very little traffic. This entry was posted in Uncategorized and tagged Coupeville, KOA, NAVION, Walkabout, Washington Pass, Winthrop by Landon Kimbrough. Bookmark the permalink.